Adam loves to meditate, and he loves sharing with others the blessings that he has found through meditation; spaciousness, peacefulness, self-awareness, meaning, clarity, and vitality. Adam began teaching meditation in 2002. He has since taught eight-week classes, trainings in corporations, jails, and schools, webinars and YouTube videos, weekly sitting groups, one-on-one coaching clients, and massive mindfulness events at dance festivals. He considers it an honor and a pleasure to relate to people through meditation teaching. 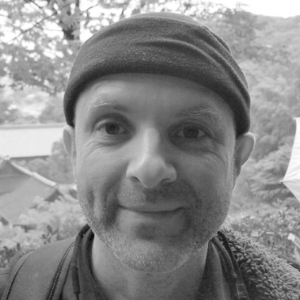 Adam's teaching is informed by Zen and Theravada Buddhism, Advaita Vedanta, Western psychology and philosophy, and his years as a participant and teacher in "authentic relating" communities. His teaching is marked by humor, relatable references to some of the more personal sides of being human, and quick insight into the deeper meaning of student's questions. Adam has meditated daily since 1989, ever since first encountering some audio recordings of Shinzen Young's teachings and finding them electrifyingly compelling. He has sat retreats with Shinzen since 1998, and sat about eighty one-week-plus intensive meditation retreats in total with various spiritual/religious lineages. He has lived in monasteries in the USA, India, Japan, and Thailand. Please see intromeditation.com for more information about Adam and his work.